Legendary rock band Sweet (aka The Sweet) shot to the top of the charts in the 1970s with such hits as Ballroom Blitz, Fox on the Run, Love is Like Oxygen, Little Willy, Hellraiser, Teenage Rampage, Blockbuster and Action. 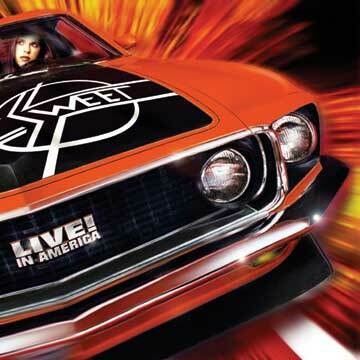 The band's CD "Live in America," which was recorded live by Westwood One at the Morongo Casino in Cabazon, California was featured on KLOS's "Front Row" program. 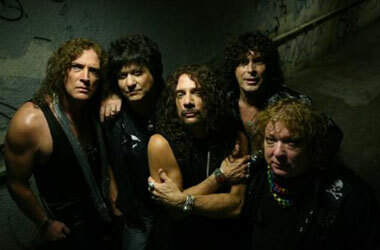 The album, which was first sold at shows and via the band's online store, has garnered favorable reviews in the Rock n Roll Report, Classic Rock Revisited and Hard Rock Haven, among others.